If you are serious about your website or blog, you should definitly take the analytics part seriously. In this post I explain how to track some events on your pages to help you improve the website. 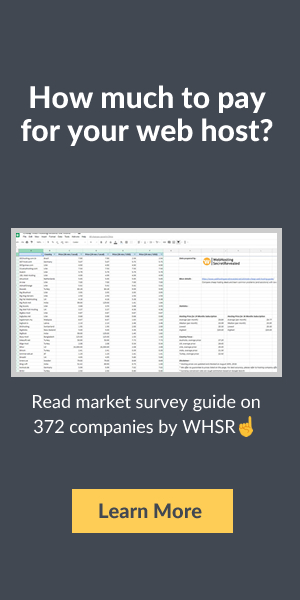 These examples are targetting mostly WordPress and Google Analytics users, but most analytics tools should be able to perform these actions (if they don’t you should think about changing). 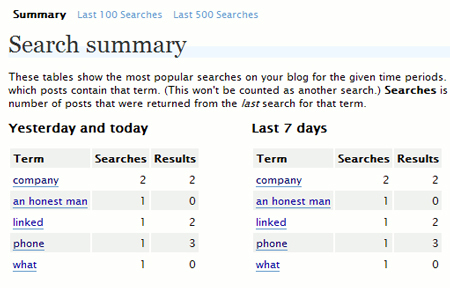 If you have a Search box on your blog, Search Meter automatically records what people are searching for and whether they are finding what they are looking for. The plugin is great, but if you already have many plugins on your website I wouldn’t recommend installing one more. Get the plugin here. Tracking what people are searching on your website is fairly easy with Google Analytics, to do so you should go to your website profile, then edit your Main Website profile information. You can then add the query parameter (usually “s” for WordPress blogs). If you want to get more feed subscribers, one good thing would be to have data about which visitors are more likely to subscribe. 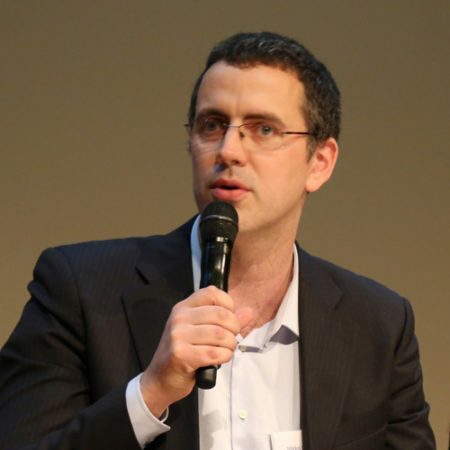 Knowing that helps you to chose how to focus your efforts to attract such visitors. This technique is not perfect because only tracks clicks to the feed, you can not be sure that people have subscribed. At least you will know who shows interest for the subscription. 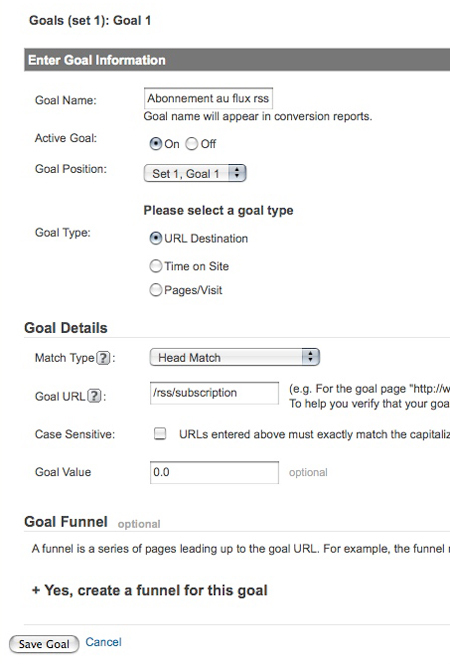 To track your new subscribers, you should start by setting a goal in Google Analytics, to do this you should go in your website’s Profile Settings, then add a goal and set it as in the following image. The goal url doesn’t have to be an existing one. 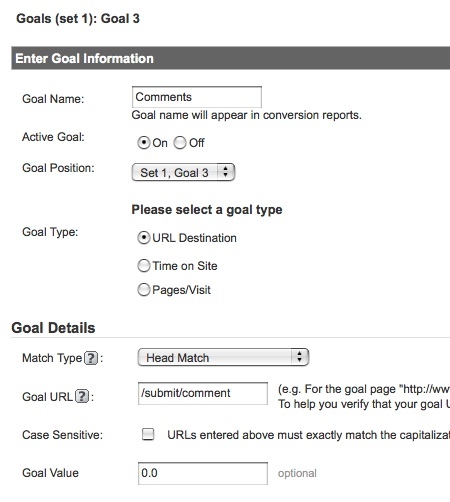 To set the goal in your template, you should then add the goal in your WordPress theme. You can do so by adding this code (check the Google Analytics help though, you may not be using the same version than I do). 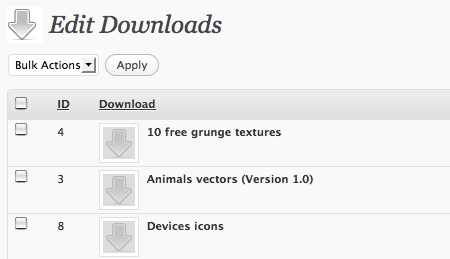 If you take the time and effort to create textures for download, vectors or an e-book, why wouldn’t you want to know how many people download it. To track these downloads, there is many solutions, following are two. This is the solution I chose, it makes adding new tracked download from a WordPress post very easy. The only missing capability to this plugin is that it doesn’t track the referrer for the downloads. Get the plugin here. Tracking downloads with Google Analytics works the same way as tracking RSS subscribers. Just set a goal for tracking links and add it to your file’s link like suggested in point number 2 above. For more advanced users and better productivity, you may want to have a look at how to automatically track file downloads in Google Analytics. Again, you will have for that to create a goal in your website’s profile.